The subtropical administrative region of Macau was Europe’s first colony in the Orient—it was also its last. This means that Macau has had literal centuries of European—primarily Portuguese—presence in it, lending a western shade to its color. The result is a place with a fascinatingly European continental flavor, even despite the obvious Chinese culture and people inhabiting it. Walk the streets of Macau and you should see it for yourself: a kind of communion with European taste, European aesthetics and European cuisine. Do not be misled into deeming this land a mere “island of European influence” in the region, however. Macau has a distinct character that combines the very best of east and west in an intriguing, irresistible cocktail of Old World colonial charm, traditional Chinese traditions, and global wealth and opulence. The last should never be forgotten when Macau is mentioned, as this is one of the richest places in Asia—which happens to be largely because it is also one of the most visited. This little country is a big tourism spot, rich and ripe with heritage monuments as well as theme parks for the eager tourist. But what most people really come to Macau for, probably, is a shot at the tables. Macau is a prime gambling destination for poker-lovers, card-players, slot-enthusiasts, and the like. It is the Las Vegas of the East—although, truth be told, it rakes in more than Vegas does annually. Unparalleled casinos such as the City of Dreams, the Casino Lisboa and the Sands Casino can be found here, and should definitely be visited, whether you are a big-time player or just hoping to bet a few dollars on the slots. Macau will certainly not disappoint those seeking world-class entertainment or gaming opportunities, so don’t think twice about visiting this magnificent place. Packing what to bring and what to wear to a vacation trip can either be a pleasant experience or a drag. One of the most hassling things is to realize that you brought all the wrong stuff for your trip. The key is to plan ahead, especially when going to Macau, which has four different seasons. 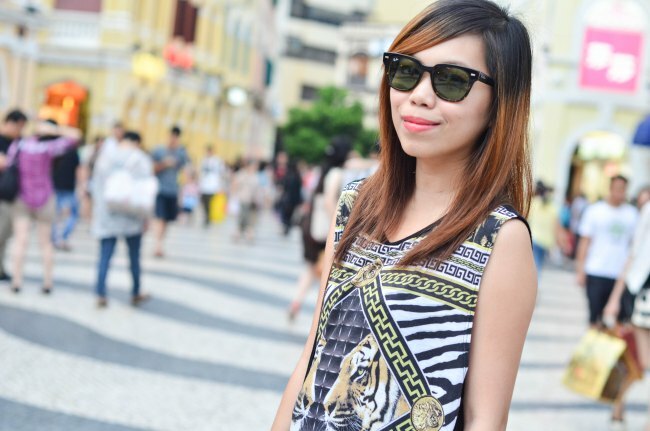 Deciding on what to wear in Macau depends on, first and foremost, the season during which you plan to visit the city.